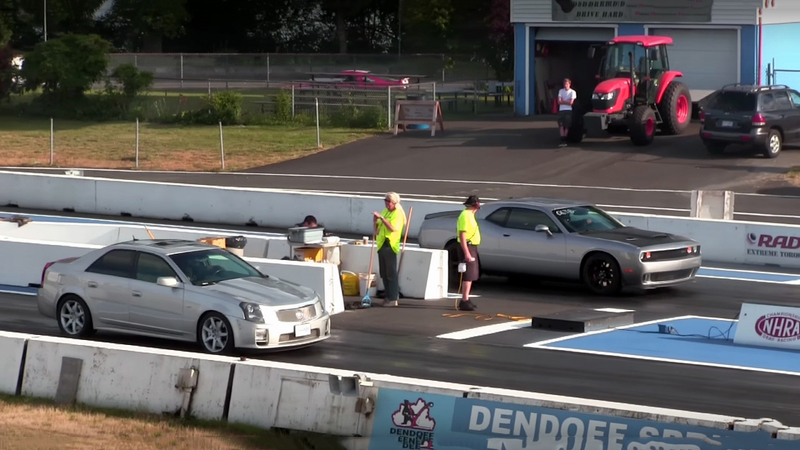 Yellow Jacket SRT8 Challenger vs 2017 Cadillac CTS-V - Enjoy the Race! 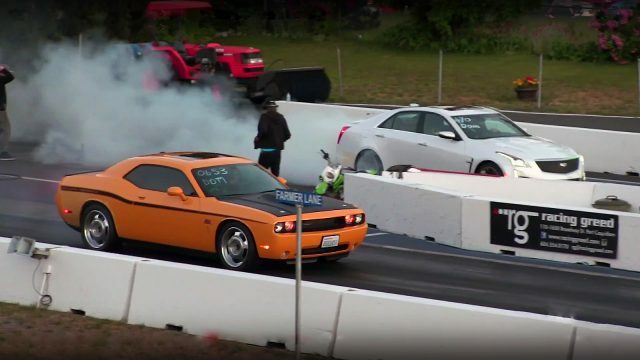 As always, these are the most interesting drag races, especially when the battle is between some of the most recognizable modern American muscle cars. So, what we have today? 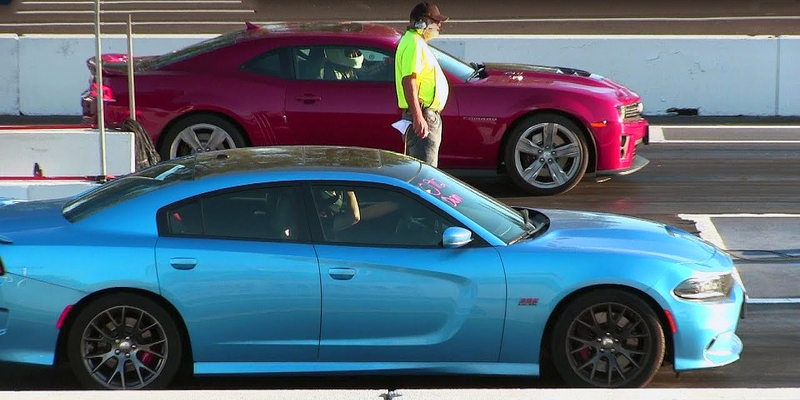 The first competitor is the 2012 Yellow Jacket SRT8 Challenger, while the other is the already world famous 2017 Cadillac CTS-V. However, before watching the race lets meet their performance. The yellow jacket has a Chryslers 392 cubic-inch, 6.4-liter small-block Hemi V8 engine, rated at 470 horsepower and 470 lb.-ft. of torque. 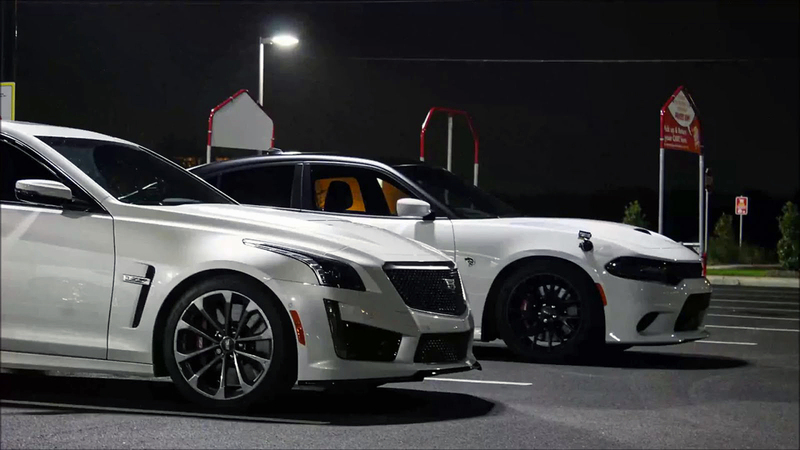 While the Cadillac CTS-V is powered by a Supercharged GM 376 cubic-inch, 6.2-liter LT4 small-block V8 engine, rated at 640 horsepower and 630 lb.-ft. of torque. On paper, the Cadillac is much more powerful, so enjoy the race!